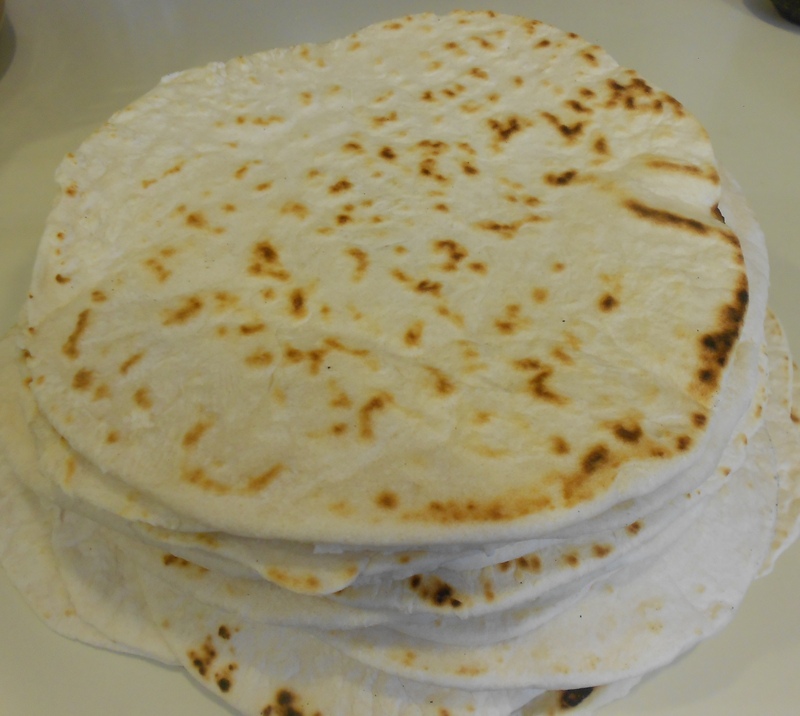 Homemade Flour Tortillas are really quite easy to make, and they take a minimum of staple ingredients that are most likely on the pantry or cupboard shelves. 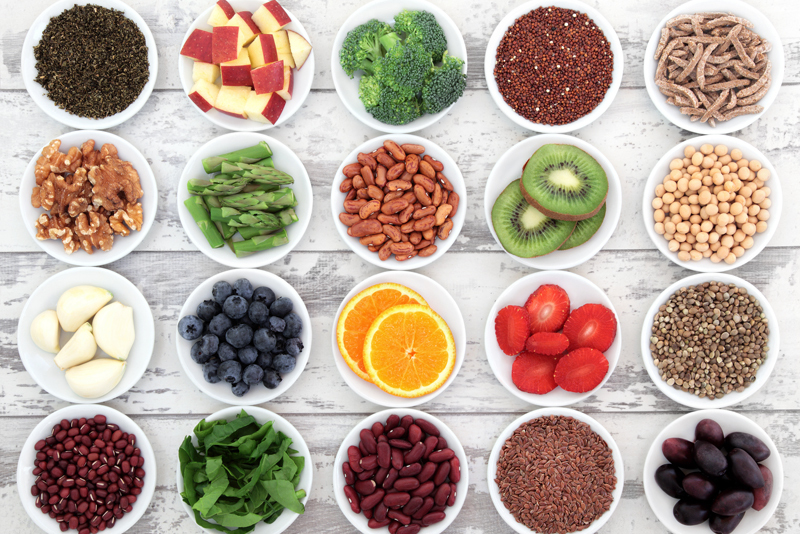 Although a mixer makes it easier to mix the dough, it is not absolutely necessary, and most Mexican home cooks make the dough by hand every morning, since day-old tortillas are a no-no. Good homemade tortillas are miles apart from the so-called “homemade” tortillas from the grocery store, and those raw ones that you cook on your own griddle may taste pretty good when not being compared with the real thing, but are also substandard, not to mention the fact that they must contain plenty of preservatives to remain edible on the refrigerator shelf for a long time. Practice makes perfect when rolling tortillas round, but the not-so-round ones still taste wonderful and are still perfect for scooping up beans and of course, Chili Verde. 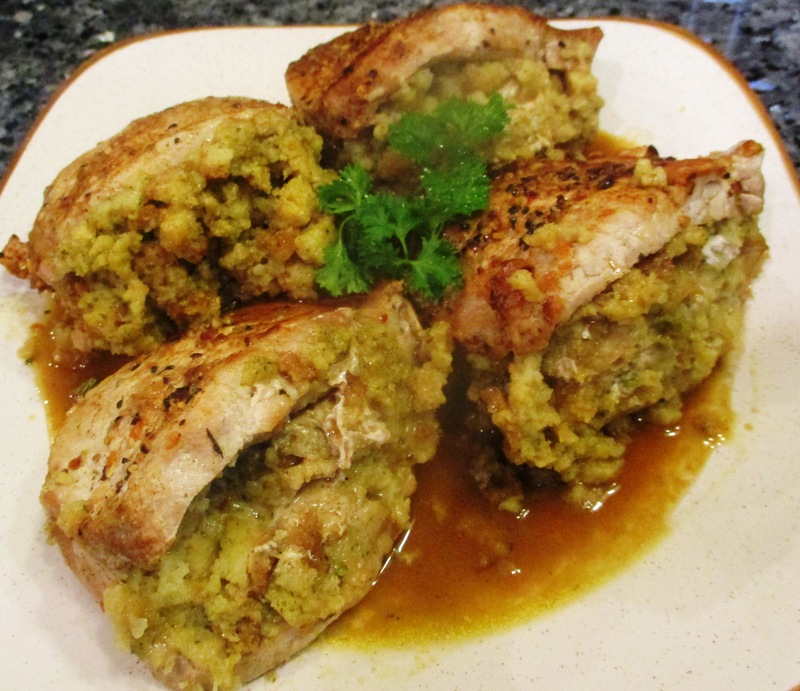 To add fiber and a little additional nutrition, substitute half whole wheat flour for the white. Mix flour, salt, and baking powder in the large bowl of mixer. 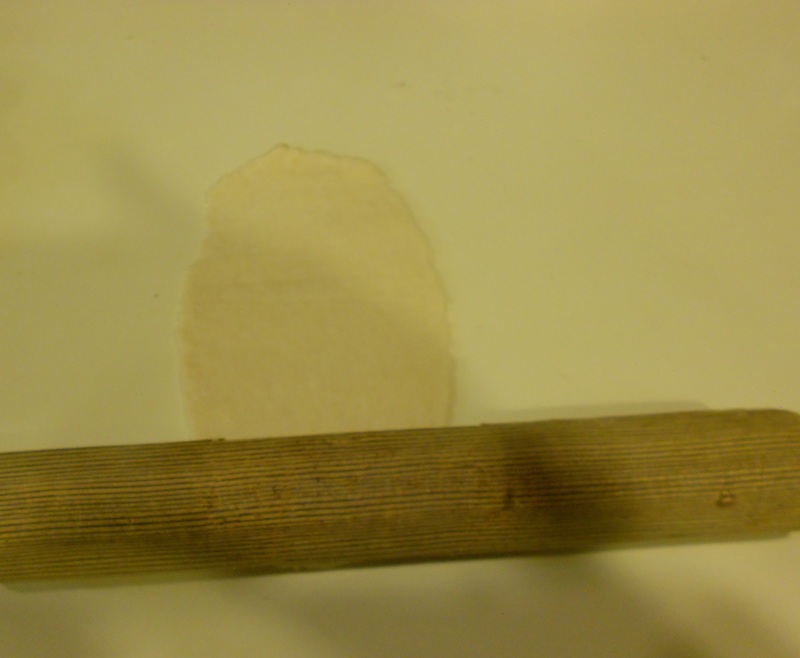 With the K attachment, cut in the shortening until the size of small peas (if making dough by hand, use a pastry blender). 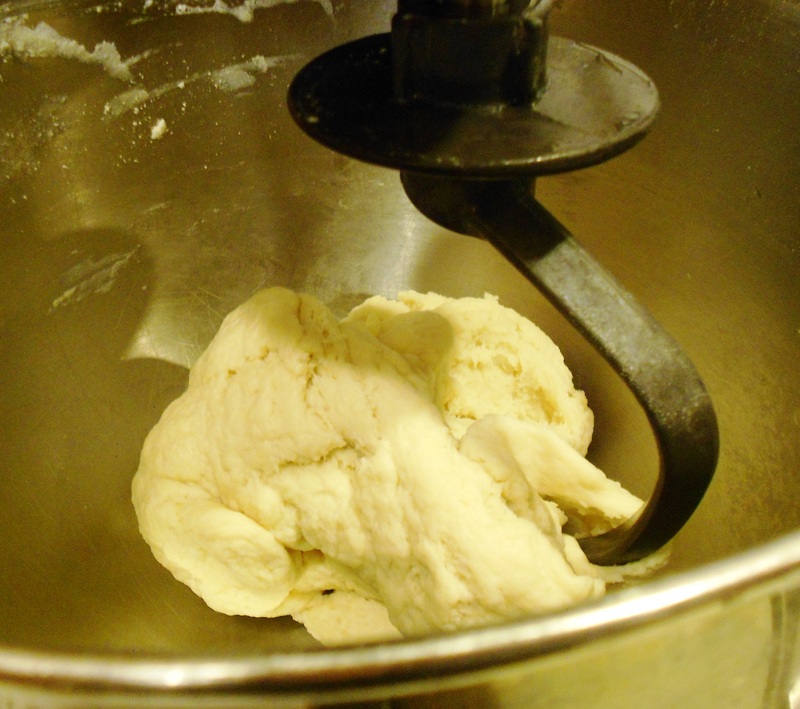 Put the dough hook on the mixer and gradually add the hot water until a dough forms that doesn't stick to the bowl, but is still fairly soft and pliable. 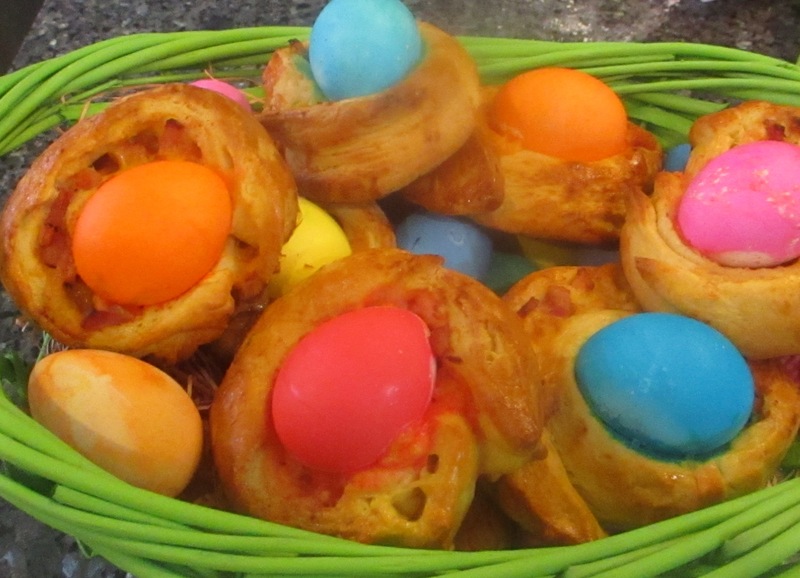 Stack the balls in a pile and cover with a damp dishtowel. 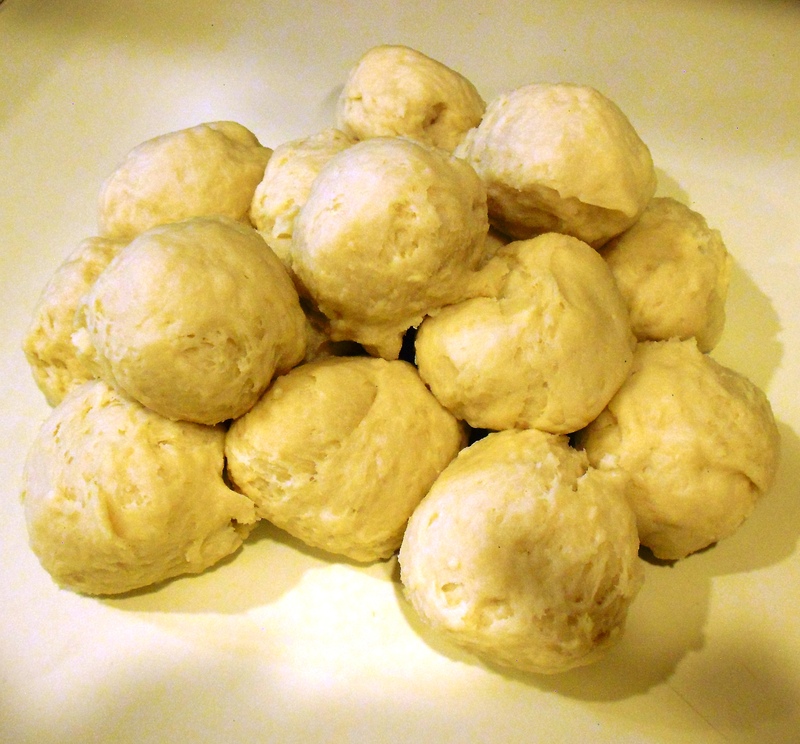 Let sit 15-30 minutes (or if you're in a hurry, start with the first balls of dough that were squeezed). 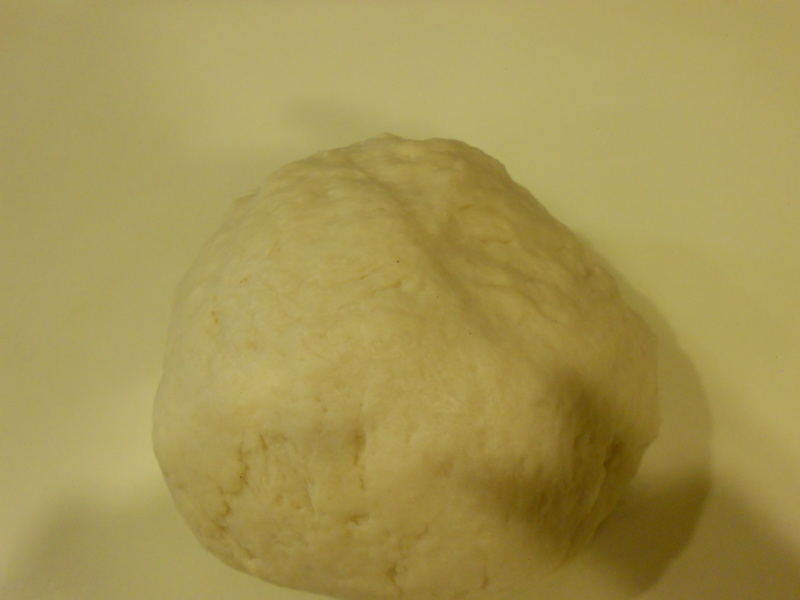 Pat each ball of dough into a flat disc. 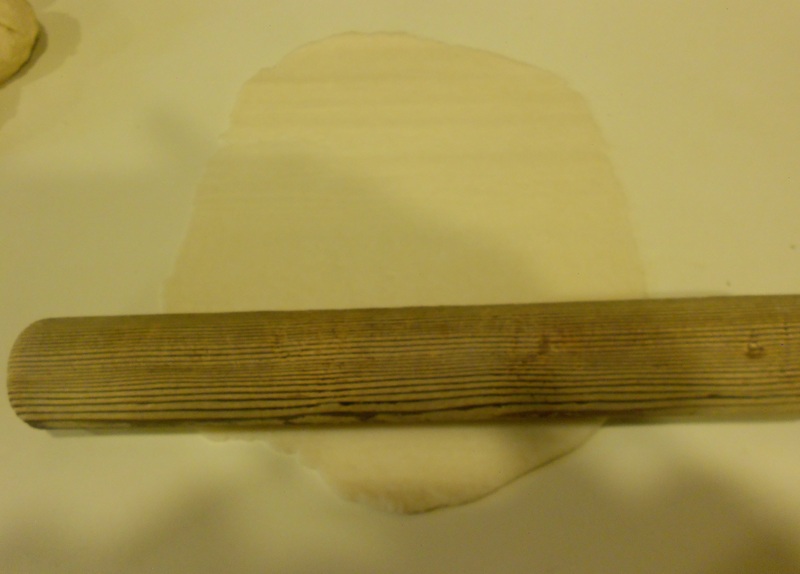 Place the flattened ball on the countertop, and using a 9" piece of closet rod (1 3/4" diameter) or small rolling pin, roll to an oval about 6” long. 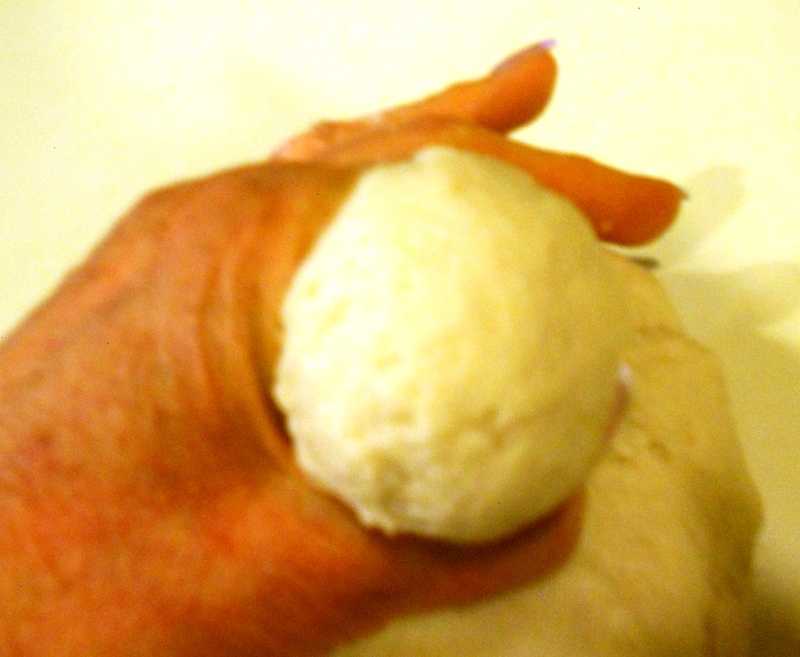 Lift the dough and turn it 1/4 turn so it forms a thin circle; continue rolling and turning until the tortilla is as thin as possible and as round as possible. 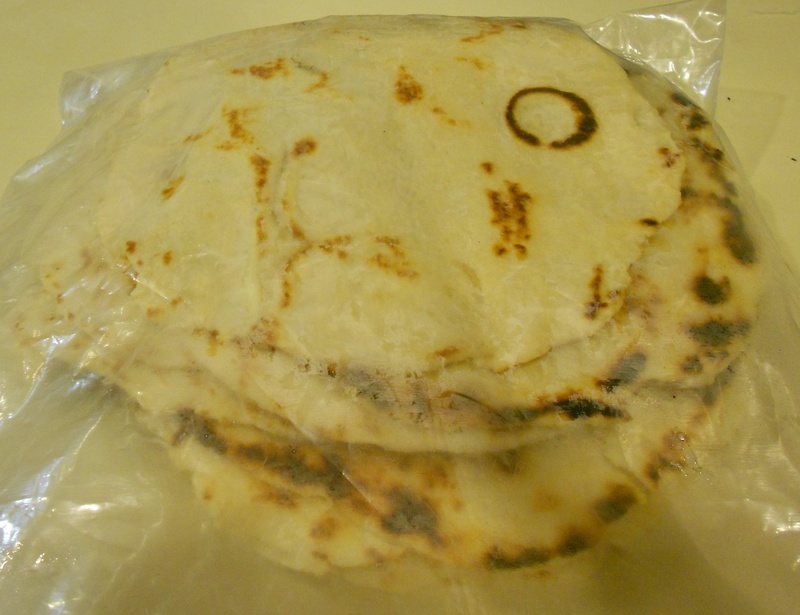 Don’t worry if your tortillas aren’t perfectly round; they’ll still taste great no matter the shape, and they will become more round with practice. 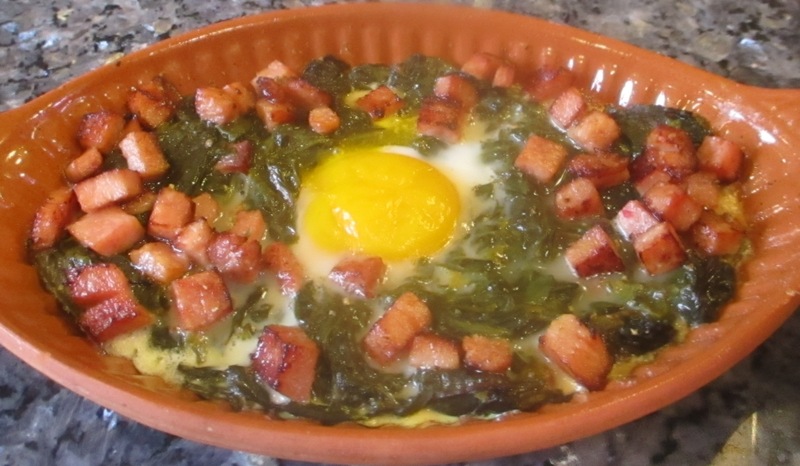 Turn the heat on the griddle down to medium-high. 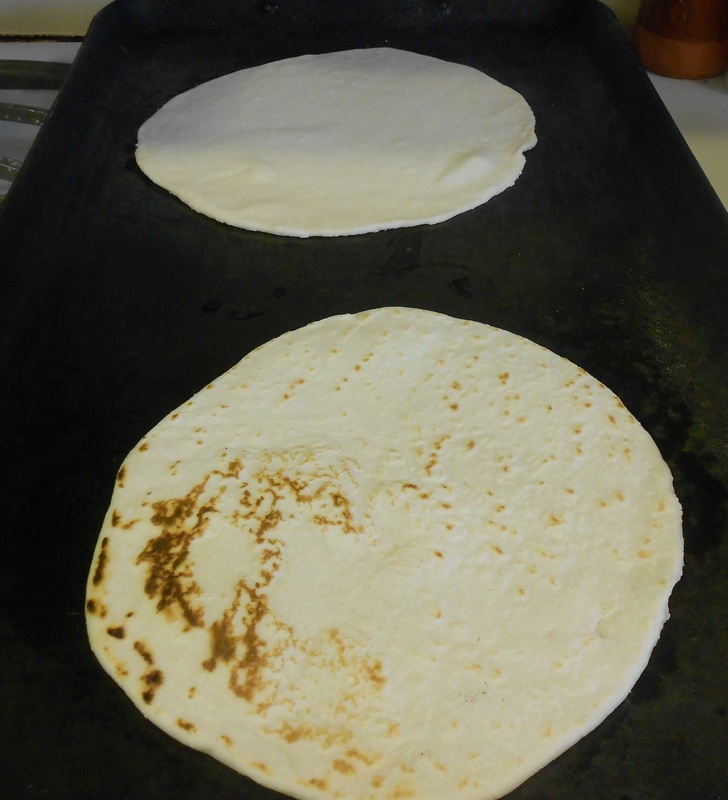 As each tortilla is rolled, place it on the griddle for a minute or two, then turn it. Adjust the heat so that the tortillas don’t brown too fast or burn. When the tortillas are baked, stack them in a zip-type bag. When cool, seal the bag to store.